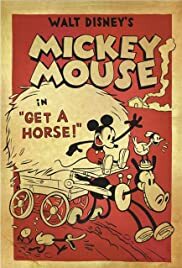 Mickey, Minnie, Horace Horsecollar, and Clarabelle Cow go on a musical wagon ride until Peg-Leg Pete tries to run them off the road. Goofy tries to set up his new home theater in time for the big game, with disastrous results. Amidst an old London clock shop, a small, quirky mantle clock comes to the aide of the store's more expensive clocks when a thief breaks in and threatens to steal them away. A humorous animated poem of how a gentle displaced Scottish monster created Loch Ness. Disney's retelling of the legend of John Henry, the steel-driving man. A gluttonous self-centered cat, Lorenzo, gets punished for his selfishness when his beautiful giant tail develops a personality of its own. An office worker meets the girl of his dreams and uses a fleet of paper airplanes to get her attention. A poor young girl has a burning desire to find comfort and happiness in her life. Desperate to keep warm, the girl lights the matches she sells, and envisions a very different life for herself in the fiery flames. Wayne and Lanny now partners, are called by Magee to meet with a secret contact Mrs. Claus who sends them on a new mission to retrieve a box from Santas secret workshop. A series of superb animated short films, created by the brilliant minds at Disney Animated Studios, and narrated by the executive staff. A young boy helps his father and grandfather harvest stars from the moon. Minnie Mouse: Where are we, Poughkeepsie?